As soon as you spawn in the world, you will see a settlement. The village is divided in two biomes. 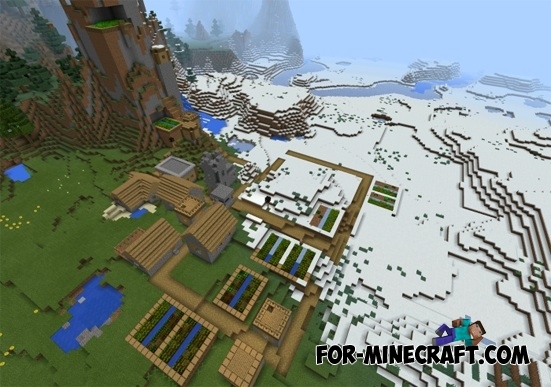 Exactly half of the village is located in plains biome, and the other half - snow biome. Some homes and farms are located on the slopes of the massive mountain that looks very cool! The village will be located a forge in which you'll find a chest with supplies for survival. 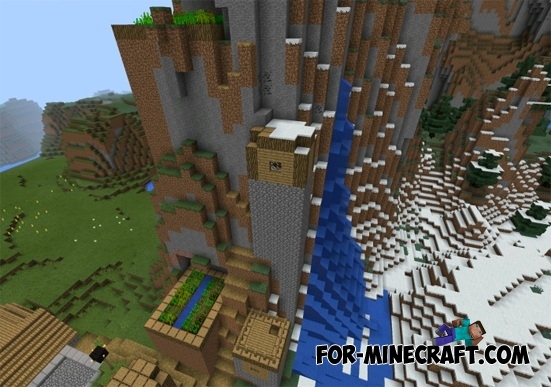 Four villages seed in Minecraft PEIf you generate the world using this seed, you will find simultaneously four villages, which are located next to each other!